For the first time since 2014, the Vols are back in the NCAA Tournament. Tennessee is in as a No. 3 seed in the South region of the bracket, and their opening opponent in the Round of 64 is Wright State of the Horizon League. Wright State won the Horizon League conference tournament after finishing the regular season second in the league. Scott Nagy is in his second season with the Raiders as their head coach, and this will be the first time he’s taken them to the NCAA Tournament. But it’s not his first time in the Big Dance; Nagy has made it three times previously with South Dakota State. The Raiders are a defensive and team-oriented squad much like the Vols. In fact, they remind me a bit of a mid-major version of Tennessee. They shoot well enough to beat most teams, and their defense is superb. They aren’t a flashy team and don’t have a superstar, but they play well as a team and are good at passing the ball. They have two players who play consistently who are 6-foot-9 or taller, but they’re a very guard oriented team otherwise. Despite their lack of overall size, Wright State actually rebounds fairly well. Loudon Love, who is 6-foot-9, leads the team with 9.8 rebounds. But 6-foot-3 guard Grant Benzinger, who leads the team in scoring, averages 5.4 rebounds a contest. One of Wright State’s more dangerous players, Justin Mitchell, has missed the last half of the season after he left the team in mid-January. He was averaging 11.1 points, 7.1 rebounds, and 3.1 assists. The talented guard has largely been replaced by 6-foot-4 Mark Hughes who has averaged 9.9 points, 3.1 rebounds, and three assists. Wright State has held opponents to just 65.7 points per game, and they held opponents to 60 points or less 11 times this season. Tennessee and the Raiders have one common opponent. Both the Vols and Wright State faced Georgia Tech this season, and both defeated the Yellow Jackets. Tennessee defeated Georgia Tech 77-70 on December 3rd and Wright State beat the Yellow Jackets 85-81 on December 22nd. 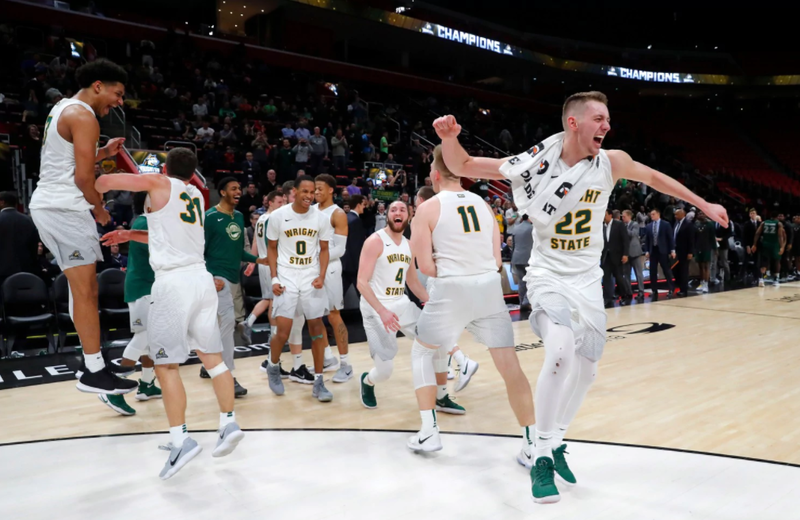 Wright State has also played fellow NCAA Tournament team Loyola-Chicago. The Raiders lost to the Ramblers 84-80 to start the 2017-18 season. In fact, Wright State started the season 0-3 before winning four straight games to right the ship. All in all, Wright State isn’t the most dangerous mid-major team the Vols could’ve been matched up against to open the NCAA Tournament. But the Raiders are far from a pushover, and expect Rick Barnes to get his team ready for their opening round match-up.